Anyone else dreaming of summer like I am? There is nothing better than spending a day in the hot sun at the pool or the beach. Preferably with a cold beverage in hand. And a good book to read. It all sounds so perfect! I love that packing for a beach weekend means packing light. Just a few essentials and I’m good to go. Luckily I am headed to Mexico this week for a quick getaway with my husband and some of our friends! I can’t wait! 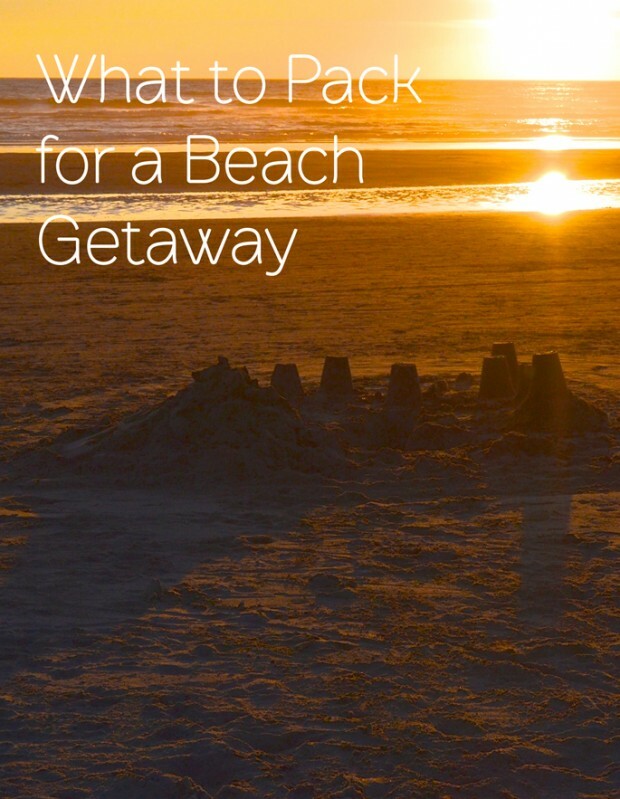 I’ve rounded up a few MUST-HAVE’s for a weekend getaway in the sun! Check these beauties out! 1. Tie Dye Cover Up from Forever 21: Cutest cover up ever! Looks comfy too. 2. 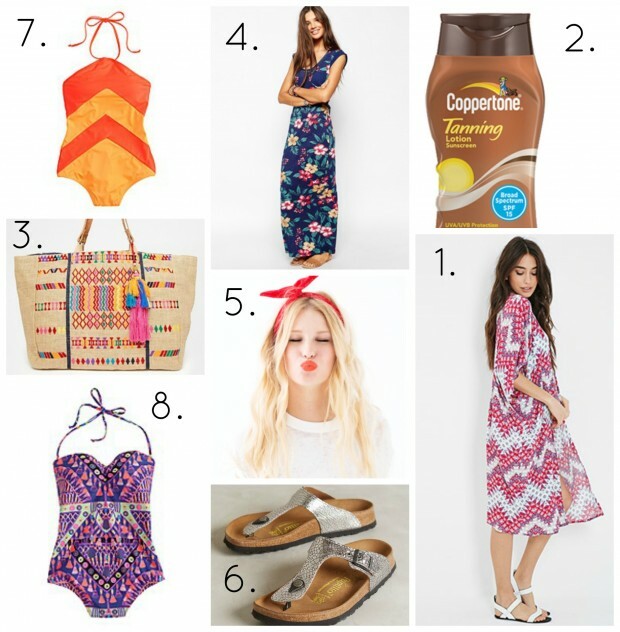 Tanning Lotion with SPF 15 from Coppertone: This is my favorite sunscreen when I want a little bit of color but also don’t want to look like a lobster at the end of the day! 3. Embroidered Bag from ASOS: How fab is this bag? Perfect for holding all of your beach needs! 4. Botanical Maxi Dress from ASOS: I love ASOS dresses! They always run true to size and they are adorable! 5. Twist Scarf from Ban.do: Tie up that beach hair with this cute scarf! 6. Birkenstock Sandals from Anthropologie: Comfortable, stylish, and perfect for walking around on the beach or by the pool! 7. Chevron Striped Halter Swimsuit from J.Crew: You’ll stand out in this bright amazing swimsuit! 8. Braided Back One-Piece form J.Crew: I am kind of obsessing over this tribal patterned swim suit! I think I need it! Where would you go on your weekend getaway? What do you take with you?